Anxiety symptoms and stress symptoms are normal for living a healthy, successful life. But panic attack symptoms, generalized anxiety disorder, or stress symptoms can make you ill. How to relieve stress and anxiety attacks—even social anxiety disorder—begins with knowing the signs of anxiety. By definition, stress contributes to your body’s response to potential danger, like a speeding bus bearing down on you, or a demand, such as the need to do well on an exam. Basically, stress is your body’s way of telling you something has to change in order for you to stay safe or achieve your goals. Stress is good when it motivates you to meet life’s challenges and keeps you safe. The stress that induces you to step out of the way of that speeding bus or study for that crucial exam is good stress. When you’re so worried about doing well on the exam that you can’t concentrate enough to study or freeze when it’s time to start writing it, that’s bad stress. In general, stress is useful in short bursts—like the amount of time it takes you to show your boss that you deserve that promotion or to avoid that mean-looking dog. By another definition, stress can be chronic, hanging around for much longer periods of time—years of worry that you might lose your job, for example. Chronic stress causes significant wear-and-tear on your body and, left unchecked, can result in illness and disability. By definition, anxiety is an emotional response characterized by feelings of tension and worry often combined with physical changes, like an increase in blood pressure. It is perfectly normal to experience anxiety in response to stressful circumstances. For instance, it’s pretty normal, even healthy, to feel anxious when you hear someone break into your house. Many people will also feel anxious about challenges—making important presentations at work, for example, or learning to skydive for the first time. As with stress, good or bad anxiety is really a matter of degrees. Everyone feels anxiety, and it’s pretty easy to manage when it pops up only when we’re facing real dangers or challenges, never becomes overwhelming, and then drifts away once we have overcome what we need to. Anxiety is abnormal and problematic when it seems to have no real cause, when worry seems to take over your life, when you can’t help but worry about very minor things (did that stranger give me a funny look?) or that something pretty unlikely is going to happen to you (will I be the victim of a terrorist attack?). Anxiety, definition aside, is also a problem when it’s overwhelming. The most extreme form of anxiety, known as panic, can prevent you from functioning at all. If you’ve never had a panic attack, it may not be possible for you to imagine or understand how intense they can be. When you’re having a panic attack, your whole body is in five-alarm mode; you’re convinced you’re in life-threatening danger. Panic attacks usually start abruptly, with a sudden surge of overwhelming, intense fear that peaks within seconds or minutes. They can come seemingly from nowhere. In fact, some people have panic attacks upon waking from sleep or while in a deeply relaxed state. While an individual panic attack usually lasts only a few minutes, some people experience episodes of repeated panic attacks that can last for hours, with intense feelings of anxiety in between. 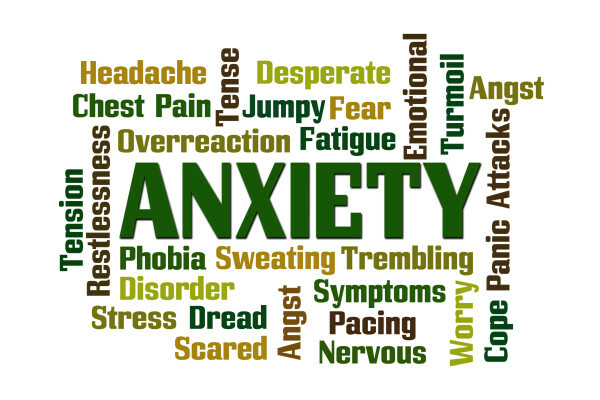 anxiety, anxiety definition, blood pressure, chest pain, chronic stress, dangers, dizzy, ears, faint, feelings of anxiety, pain, panic attack, panic attacks, pounding heart, sleep, stress, what is anxiety. I have all of this mine just keep getting worse it’s a hard to deal with this thank u for this bring on the site.